The Revolutionary War - What's going on in Mr. Solarz' Class? Objective 1: Explain why significant events in U.S. political history are important today. This will be done through a whole-class, teacher-guided Mini-Inquiry Project. Students will be taught the process with an example and will take their historical event through the process, ultimately presenting their findings for the rest of the group (probably via a video uploaded to YouTube). Common Core: W.5.7. Conduct short research projects that use several sources to build knowledge through investigation of different aspects of a topic. Common Core: W.5.8. Recall relevant information from experiences or gather relevant information from print and digital sources; summarize or paraphrase information in notes and finished work, and provide a list of sources. Learn how to use TimeGlider (including links, images, etc.) in order to create timelines. Common Core: SL.5.4. Report on a topic or text or present an opinion, sequencing ideas logically and using appropriate facts and relevant, descriptive details to support main ideas or themes; speak clearly at an understandable pace. Common Core: SL.5.5. Include multimedia components (e.g., graphics, sound) and visual displays in presentations when appropriate to enhance the development of main ideas or themes. Learn how to use Google Presentation (including adding photos, videos, etc.) in order to create a slide. Learn how to embed our electronic products onto our personal ePortfolios (on Weebly). Objective 2: "Summarize and explain the major events that created tension between the colonists and Britain and eventually led to the Declaration of Independence." Enduring Understanding 1: "Conflicts can stem from multiple causes and can have multiple results." Enduring Understanding 2: "The events of the American Revolution were influenced by several events that came before it." Enduring Understanding 3: "Some colonists disagreed with the British over the proper relationship between government and citizens." Essential Question 2: "In what ways were the British right and the Patriots wrong? Why?" This should be done immediately after Objective 1. (1) Do my "Storytelling" of the timeline of events (yellow) from 1754 through 1776. (2) Complete History Alive Lesson 10. Students will work on the objectives of the History Alive unit, but will need to accomplish this goal as well. (3) Students are assigned partners, and then assigned a single cause of the Revolution. They are asked to watch an episode of Liberty's Kids for homework before reporting out to the class the next day. (4) Complete a Collaborative Timeline of the Causes of the Revolutionary War (on TimeGlider). Embed the timeline on your blog & reflect on it. (5) Complete The King's M&Ms activity (or The King's Pennies). (6) Finally, from the perspective of your persona, write a blog entry that shows how you feel as a patriot regarding each of the events. Continue to learn how to use TimeGlider (including links, images, etc.) in order to create timelines for future assignments. Common Core: W.5.3. Write narratives to develop real or imagined experiences or events using effective technique, descriptive details, and clear event sequences. Common Core: RI.5.2. Determine two or more main ideas of a text and explain how they are supported by key details; summarize the text. Common Core: W.5.5. With guidance and support from peers and adults, develop and strengthen writing as needed by planning, revising, editing, rewriting, or trying a new approach. Common Core: W.5.6. With some guidance and support from adults, use technology, including the Internet, to produce and publish writing as well as to interact and collaborate with others; demonstrate sufficient command of keyboarding skills to type a minimum of two pages in a single sitting. Continue to learn how to embed our electronic products onto our personal ePortfolios (on Weebly). Objective 3: Explain how a significant historical event can have many causes. Essential Question 3: "How could war have been avoided?" This will be done after History Alive Lesson 10. (1) Students will complete a Cause & Effect organizer on Creately.com that shows multiple causes leading to one effect (the Revolutionary War). (3) Then write an explanation that satisfies the objective above in their reflection. Common Core: RI.5.3. Explain the relationships or interactions between two or more individuals, events, ideas, or concepts in a historical, scientific, or technical text based on specific information in the text. Learn how to use TimeGlider (including links, images, etc.) in order to create timelines for future assignments. Learn how to use Glogster (including embedding it, adding photos, etc.) in order to create online posters for future assignments. Continue to learn how to embed our electronic products onto our personal ePortfolios (on Weebly), including using "Multiple Columns" and "Pictures". Objective 4: Explain the arguments by Loyalists against independence and by Patriots for independence. Essential Question 4: "Could the Revolutionary War have been prevented? Explain." (1) Complete History Alive Lesson 11. 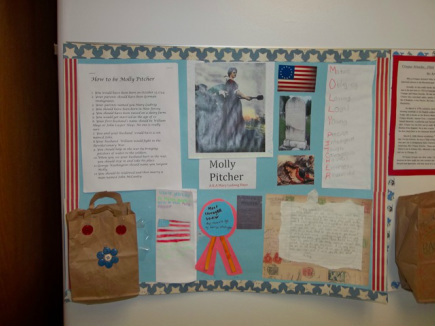 (2) Introduce the Revolutionary War Hero Project now (see Objective 6 for more information). (3) Have students collaboratively improve, practice, & perform the Reader's Theaters on the Boston Massacre, Boston Tea Party, and Patriots vs. Loyalists. (4) Students will analyze the Boston Massacre from the British and American perspectives, and then will explain each side's arguments. 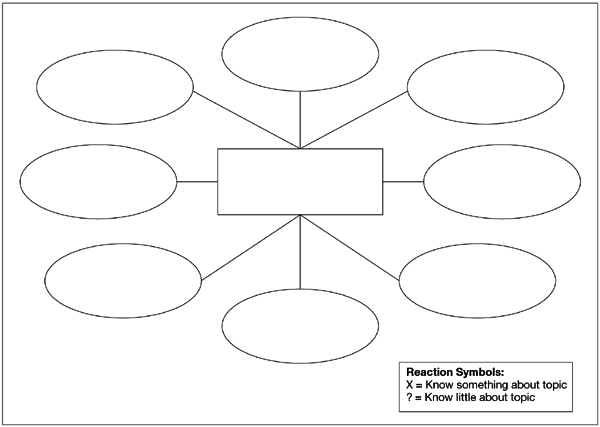 (5) Students will complete a T-Chart organizer that explains the arguments for and against independence by both sides. (6) Students will then type their explanations online into their ePortfolio. (7) In a blog entry, students will answer Essential Question 1. Common Core: RI.5.6. Analyze multiple accounts of the same event or topic, noting important similarities and differences in the point of view they represent. Continue to learn how to use our personal ePortfolios (on Weebly), including using "Multiple Columns" and "Paragraphs". Objective 5: Paraphrase key passages of the Declaration of Independence. Essential Question 5: "Why was the Declaration of Independence important?" (1) Complete History Alive Lesson 12. (2) Students will record themselves performing a skit that asks them to paraphrase an excerpt from the Declaration of Independence. (3) They will then upload their video to YouTube, and embed it on their ePortfolio. (4) Students will reflect on their experience and explain what they learned from the activity. Common Core: SL.5.1. Engage effectively in a range of collaborative discussions (one-on-one, in groups, and teacher-led) with diverse partners on grade 5 topics and texts, building on others’ ideas and expressing their own clearly. Continue to learn how to paraphrase information. Learn how to use the video camera to record a performance. Learn how to import a recording (movie) from a video camera into iMovie. Learn how to edit and export a movie from iMovie. Learn how to upload videos onto YouTube. Learn how to embed YouTube videos on our personal ePortfolios (on Weebly). Learn how to write a thoughtful reflection on a learning experience. Objective 6: Analyze the views, lives, and contributions of significant people in the Revolutionary Period. Enduring Understanding 4: "Individuals can have a great impact on history." Essential Question 6: "What impact did your famous person have on history?" This will be done concurrently with History Alive Lessons 11-13. (1) Students will complete the "Revolutionary War Hero Project." (2) They will take a picture of their poster and record themselves sharing the information from it. The first minute of the video will contain specific information that will help the others in class satisfy the requirements of this objective, while the rest of the video can be decided by the student. (3) They will then upload their photo to their ePortfolio, and their video to YouTube (and embed that as well). (4) Students will finish by writing a reflection of the experience. Common Core: W.5.10. Write routinely over extended time frames (time for research, reflection, and revision) and shorter time frames (a single sitting or a day or two) for a range of discipline-specific tasks, purposes, and audiences. Learn how to follow specific directions. Learn how to meet mini-deadlines. Learn how to import a photo from a camera into iPhoto. Learn how to edit and export a photo from iPhoto. Learn how to upload photos and videos our personal ePortfolios (on Weebly). Continue to learn how to write a thoughtful reflection on a learning experience. AND/OR Learn how to use ThingLink to tag sections of their Revolutionary War Hero poster with explanations of each component on the poster board. Click on the picture to download the directions for the project. Students will write their reflection here. Objective 7: Explain the importance of aid from France and Spain in the American victory. Essential Question 7: "Could we have won the war without the help of other countries? Explain." This will be done after History Alive Lesson 13. (1) I will start this lesson by doing my "Storytelling" on the second timeline (pink) from 1776 to 1785. (2) Students will research this topic online independently, but post collaboratively on Today's Meet so that their ideas can be shared with everyone in the class. (3) Students will read what others discover and comment directly to each other. (4) After the research time is over, students will be asked to answer this question on their ePortfolio in their own words (they should use the Today's Meet transcript as they write). (5) They should also post a screen shot of the discussion, along with a link to the actual transcript on their ePortfolio (see below). Common Core: RI.5.7. Draw on information from multiple print or digital sources, demonstrating the ability to locate an answer to a question quickly or to solve a problem efficiently. 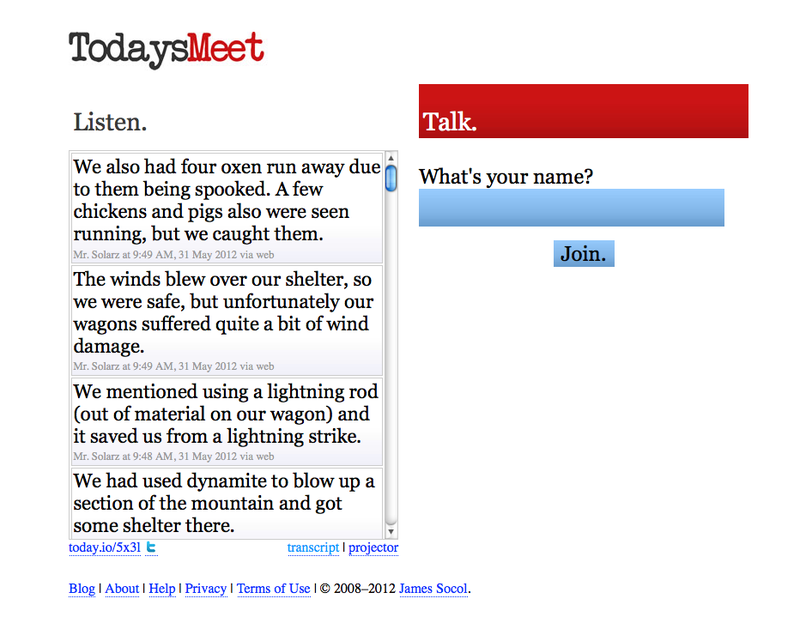 Learn how to use Today's Meet to post information publicly for others to see. Learn how to use research skills to find information online. Learn how to take screen shots and post them on their ePortfolio. Learn how to attach links to pictures on Weebly. This is where each student will write their answer to the question: Explain the importance of aid from France and Spain in the American victory. 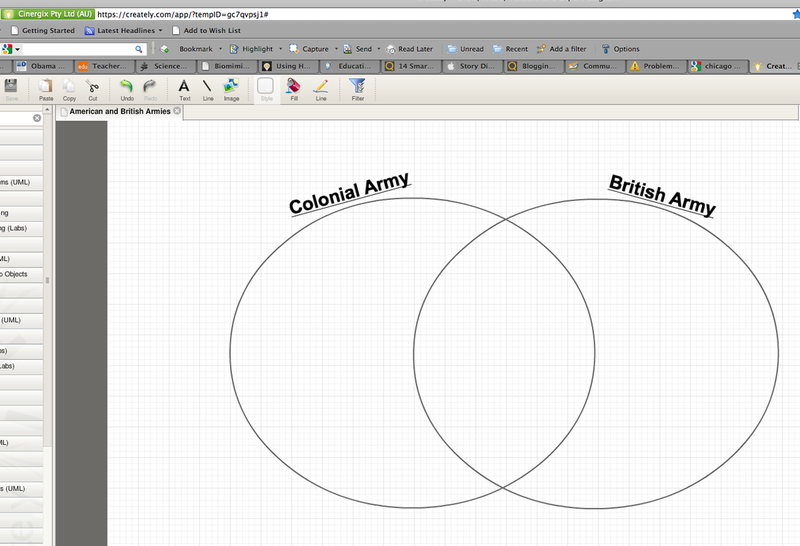 Objective 8: Compare and contrast American and British forces at the beginning of the Revolutionary War. Essential Question 8: "What role did geography play in determining the outcome of the American Revolution?" (1) Students will complete a Venn Diagram with a partner online (using Creately.com). They may use information already learned, but they are expected to do more research online. (2) They will embed their finished product and post it on their ePortfolio. (3) They will finish by writing a reflection of what they learned. Learn how to complete a Venn Diagram correctly (matching left and right sides, same number of points in each section, etc.). Continue to learn how to use research skills to find information online. Continue to learn how to take screen shots and post them on their ePortfolio. 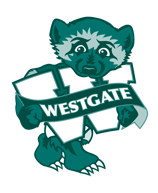 Continue to learn how to attach links to pictures on Weebly. Objective 9: Explain the importance of the battles of Saratoga and Yorktown. Essential Question 9: "How can conflict create change?" (1) Students will research this information with a partner. (2) They need to create a Glogster poster of their findings. This glog must have the following components: photos, videos, links, information, reasons why the battles were important, graphics, and sound. 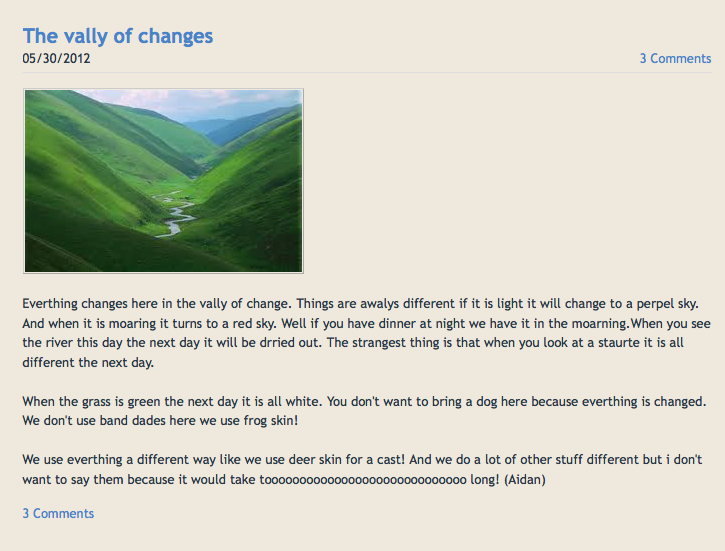 (3) Once done, students will embed their Glog on their ePortfolio and write a reflection of the experience. Common Core: RI.5.2. Determine two or more main ideas of a text and explain how they are supported by key details; summarize the text.Continue to learn how to use Glogster. Continue to learn how to use Glogster to demonstrate understanding. Continue to learn how to write reflections. Objective 10: Describe the outcome and significance of the Revolutionary War. Enduring Understanding 5: "A new nation was created as a result of the American Revolution." Essential Question 10: "Was it right that we fought for our independence or might it have been beneficial to remain dependent on England? Why?" This will be done after the entire unit is taught - it is our final summative assessment. (1) Students will be asked to answer this essential question, as well as explain the answer to the objective, on their personal blog (using any resources necessary). 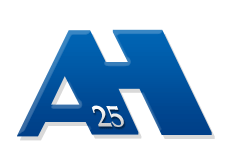 (2) Students will be assigned 2-3 students' blog entries to read and comment on after theirs is complete. The teacher will also comment. (3) They will be asked to continually revise this until it meets expectations by the teacher. (4) Once complete, students will take a screen shot of their blog entry, upload it to their ePortfolio, and link it to the blog. Common Core: W.5.2. Write informative/explanatory texts to examine a topic and convey ideas and information clearly. Learn how to create a blog entry and submit it live online. Learn how to comment on others' blog entries (technical) and do so in a way that helps the student improve their work while maintaining pride in their work (interpersonal). Objective 11: Identify changes in geographic characteristics of Boston from the Revolutionary War era to today. This can be done any time during the unit. It will be done with a substitute. 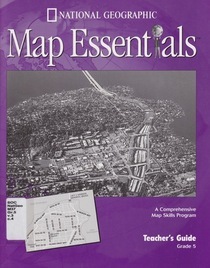 (1) Students will complete Lesson 12 in the Map Essentials book. (2) Once complete, students will scan a copy of their answers and upload it to their ePortfolio. (3) A reflection will be added to synthesize the experience. Learn how to scan work and upload it to the ePortfolio. Liberty's Kids Episodes in Order.